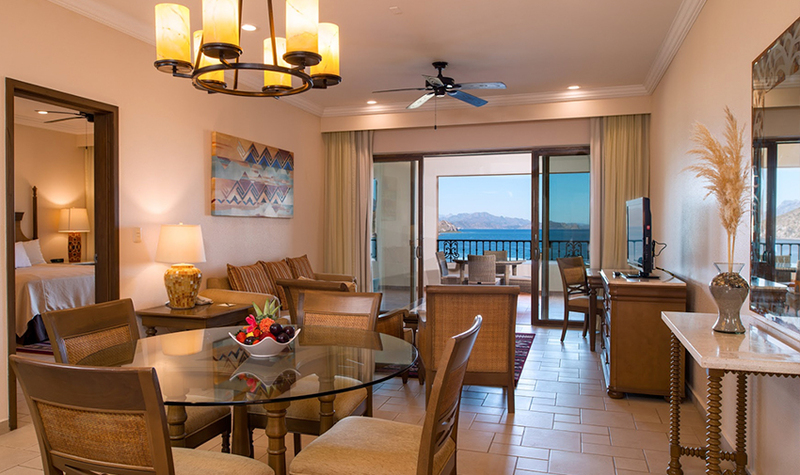 The One Bedroom Suite Ocean View at Villa del Palmar at the Islands of Loreto is the idyllic choice for those seeking style, comfort, and awe-inspiring ocean views on their Mexico vacation. 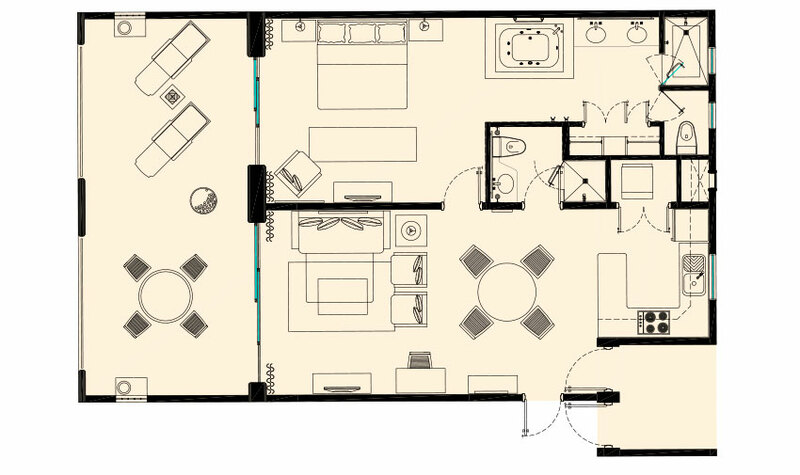 With a separate master bedroom, which comes complete with a king-sized bed, and a spacious master bathroom with both a sunken tub and a walk-in shower, guests will find the ultimate space for resting at night and relaxing throughout the day. 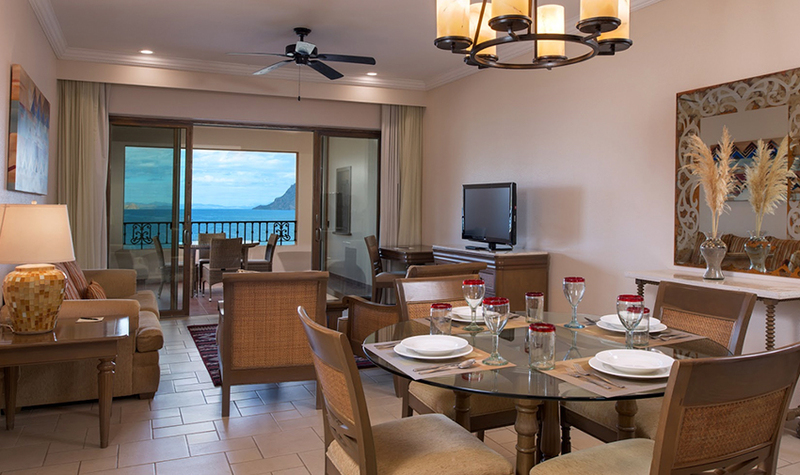 The One Bedroom Suite Ocean View also features a living room with a sofa bed, a fully-equipped kitchen with everything one could need, including a four-burner stove, a refrigerator, coffee maker, blender, toaster, and various kitchen utensils, and a spacious dining room for small gatherings and “home” cooked meals. 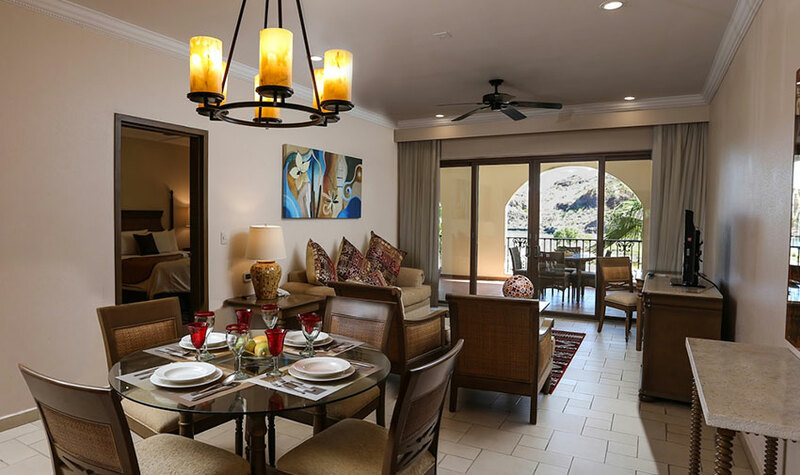 For the added convenience of our guests, these units also are equipped with sufficient dishware for everyone staying in the suite, a washing machine and dryer for when clothing needs to be refreshed, and an additional bathroom so as not to compromise the privacy and luxury of the master suite. 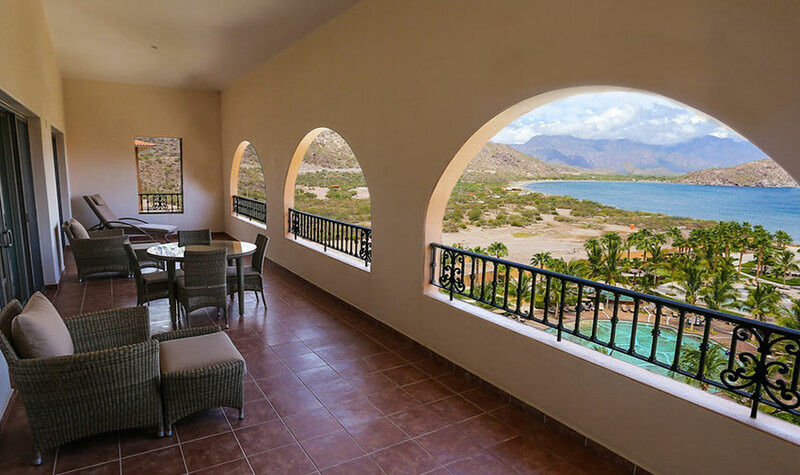 Rounding out the unit is a spacious balcony overlooking the stunning vistas of the Islands of Loreto, a truly incredible view for all to enjoy as they please. Beautiful resort with its own little cove on the Sea of Cortez. 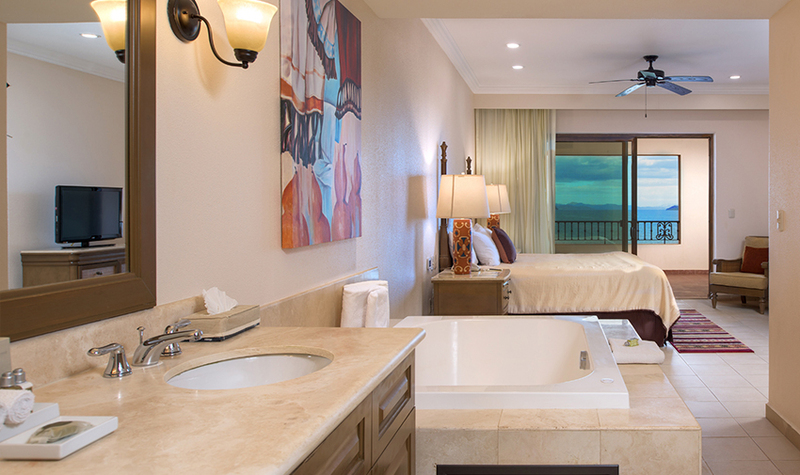 Rooms were spacious, upscale and clean. Our room had a huge balcony that wrapped all the way around. Room also had a kitchenette which would be nice for an extended stay.